This inspiring talk highlights some of the choices we can make as human beings. Here are some extracts from his address. There is invisible writing on the back of the diploma you will receive, and in case you didn’t bring lemon juice to decode it, I can tell you what it says: You are Brilliant, and the Earth is Hiring. The earth couldn’t afford to send recruiters or limos to your school. It sent you rain, sunsets, ripe cherries, night blooming jasmine, and that unbelievably cute person you are dating. Take the hint. When asked if I am pessimistic or optimistic about the future, my answer is always the same: If you look at the science about what is happening on earth and aren’t pessimistic, you don’t understand the data. But if you meet the people who are working to restore this earth and the lives of the poor, and you aren’t optimistic, you haven’t got a pulse. You join a multitude of caring people. No one knows how many groups and organizations are working on the most salient issues of our day: climate change, poverty, deforestation, peace, water, hunger, conservation, human rights, and more. We have done great things and we have gone way off course in terms of honoring creation. You are graduating to the most amazing, stupefying challenge ever bequested to any generation. Nature beckons you to be on her side. You couldn’t ask for a better boss. The most unrealistic person in the world is the cynic, not the dreamer. Hope only makes sense when it doesn’t make sense to be hopeful. Paul has a long history of helping people to build on their strengths and make their best contribution to the Earth. Here is an overview of his career so far. He began by working as a press co-ordinator with Martin Luther King’s team in Selma, Alabama. Later he was seized by Ku Klux Klan members, but escaped due to FBI surveillance and intervention. Whilst continuing to work for human rights, he moved on to creating several ethical companies. Some of these were the first natural food companies in the United States that relied solely on sustainable agricultural methods. Paul founded Erewhon, which was based in Boston, Massachusetts. This focused exclusively on organically produced fruits, vegetables, dairy, beans, eggs, juices, and condiments. By 1973, Erewhon had two mills, two rail cars and warehouses on both coasts.It had contracts with farmers in 37 states on 56,000 acres to supply its four stores and more than 3,000 wholesale accounts. Paul then created Smith & Hawken. This was a $75 million catalogue and retail company, specialising in garden and horticultural products. It is credited with changing the ‘landscape’ of gardening in America by introducing European tools, techniques, varieties and literature. After twelve years, there were four retail stores, a 100,000 ft. shipping facility, 600,000 yearly catalogue customers, armfuls of awards for graphic design and five distinct catalogues: furniture, tools, bulbs, work clothing and general merchandise. Paul designed many of the tools and products sold. These included the ‘Monet’ bench, the most popular outdoor bench in America. Smith & Hawken was cited as one of the most environmentally innovative companies in the U.S. It was the first company to participate in a debt-for-nature swap in partnership with Conservation International. It won numerous awards for its environmental work. This included the Council on Economic Priority’s Environmental Excellence award in 1990. This was the first time a small company had been received this honour. The Next Economy (Ballantine 1983), Growing a Business (Simon and Schuster 1987), The Ecology of Commerce (HarperCollins 1993) and Blessed Unrest (Viking, 2007). He also co-authored with Amory Lovins the influential Natural Capitalism: Creating the Next Industrial Revolution (Little Brown, September 1999). This has been referred to by several heads of state including President Bill Clinton, who called it one of the five most important books in the world today. Paul reached millions of budding entrepreneurs through his American Public Television series Growing A Business. He advises people to develop their talents and produce quality. Even in a recession, customers will pay for quality products delivered in a quality way. So how can you create a successful business? As we know, it can be useful to follow some of the eternal rules. First, build on your strengths. Do what you do best and do it brilliantly. Second, find sponsors – employers and customers – who will hire you for doing what you do best. Third, help them to achieve success. How to make this happen? 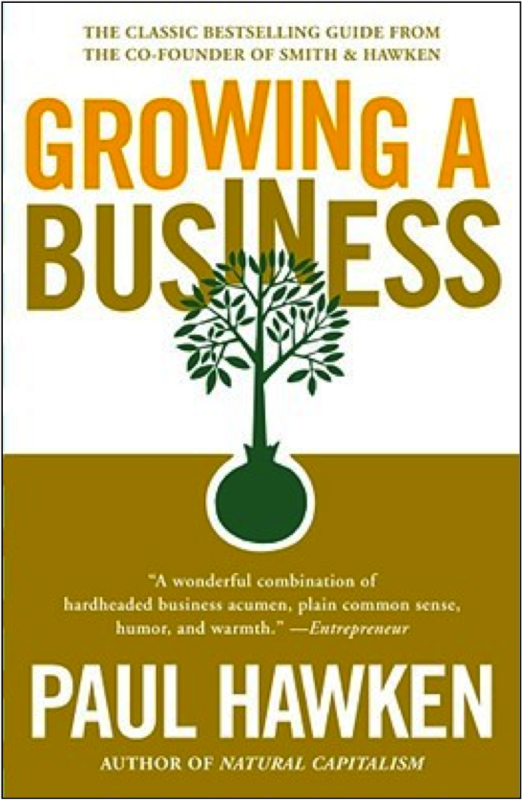 Let’s explore some of the ideas Paul described in Growing A Business back in the 1980s. Many of these ideas are commonplace today. People are attracted to nostalgia: so recreate something which they believe has been lost forever. The friendly small town bank; the reliable mail-order firm; the honest garage; the quality ice-cream shop; the traditional cheese store; the aromatic coffee shop; the company that fixes mistakes without complaint. Be honest, deliver quality and make people feel special. Paul underlines the following points. “Remember that in business you are never trying to ‘beat’ the competition. “You are trying to give your customer something other than what they are receiving from the competition. Businesses suffer from a lack of imagination, not capital, says Paul. Too much money tends to replace creativity. Companies without money are hungry; they must dream, imagine and improvise. Companies awash with money try to buy solutions. They lavish vast amounts on consultants, lawyers, clever accountants, publicity agents and marketing studies. Cash and creativity are both necessary, but make sure you balance them properly. Entrepreneurs are like mountain climbers. They set clear goals, clarify their strategy and anticipate ways to tackle problems. Others think the mountaineer is gambling, but the climber would risk more by not following their dream. On the other hand, he adds, risk avoiders do not always make good entrepreneurs. Business teaches you a lot about yourself, says Paul. You will face split- second decisions: to be honest or to lie; to deliver quality or to cut corners; to care for your customers or to give shoddy service. Business continually tests character. Paul once searched for magic solutions. Providing he read more books by business gurus, he felt, one day he would find business nirvana. “I had my nirvana, all right, but it was the opposite of what I had been seeking. “On that pretty afternoon the actual truth finally struck me: I would always have problems. In fact, problems signify that the business is in a rapid learning phase. Problems create either energy or paralysis, says Paul. Good managers make problems interesting and mobilise peoples’ energies to find solutions. Bad managers present problems as threats, criticisms or things to be ignored. They issue memos, blame others or say it is the customer’s fault. Get used to problems, says Paul, they are an eternal part of everyday business-life. They know how to handle money, how to buy and how to pay. They understand what people want, how much they will pay and how they make their decision. They know how to read the signals of the market place. They know how to approach a given product or market niche. They have a sixth sense that enables them to make quick decisions, rather than get bogged down in months of meetings, brainstorming and market studies. You can still build a business, but it can be useful to complement your strengths with people who do have tradeskills. 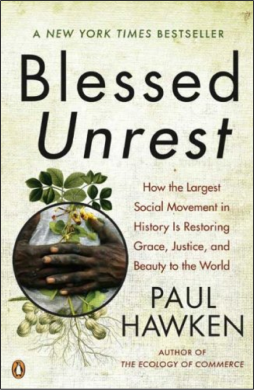 Throughout his career Paul has embodied the elements of Right Livelihood. Such an approach involves doing work that cares for both people and the planet. His books have had a profound impact on decision makers and others who aim to build a sustainable economy. 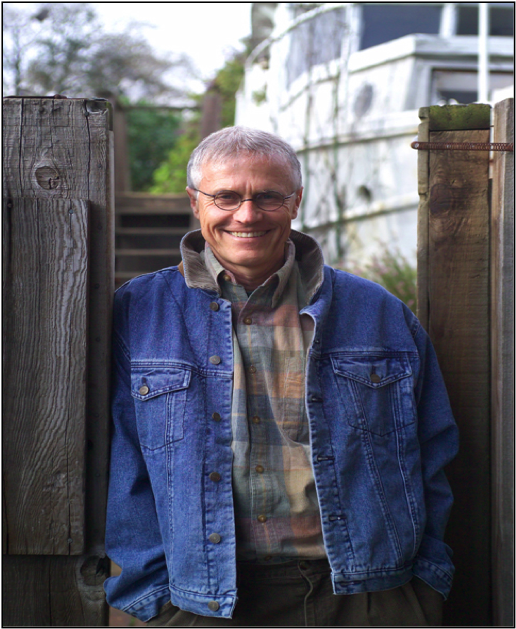 Paul founded the Natural Capital Institute, located in Sausalito, California. This in turn created an organisation called Wiser Earth. This is an open source networking platform that links people concerned about the environment and social justice. It includes NGOs, foundations, business, government, social entrepreneurs, students, organisers, academics, activists, scientists and citizens. Different people choose different ways to plant seeds of hope. Paul has used his talents to encourage people to make their best contribution to the Earth.